My father played the trombone in the Marine Reserves Band. Frankly, I never did understand what my father was doing in the Marine Reserves in the first place, given that soon after being tossed out of college for rambunctious behavior he officially joined the Communist party and it has always been my assumption that the Marines were never too keen on Communists. But then again, my father also served a stint in the 1950s as the Public Relations Director of the Maryland branch of the United Nations and I would have thought they too might stick a clothespin on their nose when card carrying Commies come lurking. My father’s first two children are gifted musicians. One of them used to play bass guitar with Bay Area groups like the Jefferson Airplane and Moby Grape and the like (I’d tell you which Jefferson Airplane album one of his songs appears on, but then that would be bragging, wouldn’t it?) and the other played violin in a group called the Blue Jays, which was a group that the two main guys from the Moody Blues formed after they broke up the Moody Blues and which they subsequently disbanded when they realized that they would make more money by simply continuing to be the Moody Blues. And sadly, when the time came for me to put together the character of Hitchcock Sewell, the bon vivant mortician-around-town who narrates my mystery series, I just couldn’t find it in my small mean heart to give him the musical talent that I myself lacked. Hitch will make reference now and again to playing the harmonica, but he never really makes reference to anybody within earshot actually enjoying the experience. When the writing of a book is going well, it appears in my head as a movie. Hopefully this is what happens as well to the reader. And while I happen to get annoyed at those movies that shove too much music down our ears, nothing beats a classy and appropriate soundtrack. And the soundtracks for my books would be a fairly eclectic mish-mash. There’s the Irish bar right down the street from Hitch’s home, where careful readers of my books will note that pretty Maria is always singing “Black Velvet Band.” And there’s the book I wrote when I was fixated on the recordings of the gorgeous Brazilian jazz pianist and vocalist Eliane Elias and in which, consequently, Hitch was forever dropping mention of her music (and did I think of sending a copy of the book to Ms. Elias?… well, just now I thought of it). And there is the soundtrack for one of my books that had to be severely shortened when the letters begin coming in from lawyers explaining to me exactly how much I would have to pay in royalties in order to reprint portions of the lyrics of the various tunes I wanted running through the book. Suddenly I found myself becoming a song lyricist, simply making up lyrics to slip in where the too-expensive real tunes were supposed to go. It was in the third book in the series, The Hearse Case Scenario, that I allowed myself to really indulge in music on the page. I started that book knowing that I wanted to recreate the sort of nightclub that is seen in so many of the great movies of the forties, where the sultry singer saunters through the crowd, wrapping all the men around her sultry little pinky. As it turned out, I ended up having the owner of the club murdered within the first fifty pages and the club was shuttered. Still, I was able to pluck a chanteuse from the closed down club and bring her to life as one of my personal favorite characters of the series, Lee Cromwell. Even though she is described in the book as looking something like Ida Lupino, don’t let that fool you. It’s Rita Hayworth I really had in mind… or at least, who I now have in mind. And for her accompanist, I brought forth a Miles Davis wanna-be named Edgar Jonz, who called his combo The Edgar Jonz Experience. Lee and Edgar are great to have in my repertoire, for now Hitch can go wandering off to a club any old time and take in a show… and get backstage afterwards. It pays to have connections. I’ve recently finished a rough draft of my next book in the series, and wouldn’t you know it, in the first scene Hitch shows up with a cut over his left eye from what he describes as “an unfortunate little run-in with a tambourine.” And before the book is over he has hooked up with a honey blond back-up singer for a group called Sisco and the Kids. (she’s one of the Kids). So it looks like we can add rockabilly to the soundtrack. Now if only I can find a way to slip in some guy playing a couple of shaky Gershwin tunes on saxophone… that should complete the repertoire. The generation of a novel is a strange thing. There may be some lucky people out of whose heads whole books leap, ready formed, but most writers I know don’t have that kind of mind. Indeed if they did have, they probably wouldn’t be writers. I certainly don’t have it. I did once dream a whole book and in my dream it became a best seller, but when I woke I’d forgotten everything except the first line. This I used, but, alas, it wasn’t enough. So, dreamers everywhere, there’s a whole book floating around out there in dream-space just waiting to be hauled in to make someone rich. On Beulah Height (Bantam, 1998) illustrates very well the strangeness of the creative process. It’s full of music, both atmospherically and as dynamic narrative device, yet when I first started thinking about the book, music didn’t figure. The basic idea was simple and not all that original. A valley flooded to form a reservoir is brought back into view by drought and with it return all the secrets and tragedies that had seemed to be drowned forever. The main tragedy was the disappearance of several children and the main secret was just what had happened to them. This is where the music first came in. As I let the idea of the story simmer around in my imagination with occasional jottings of what seemed good ideas, snappy dialogue and possible developments, I found Mahler’s song cycle, Kindertotenlieder (Songs for Dead Children) playing in my mind. I dug out my CD of the music (Janet Baker singing, Barbirolli conducting). It was some time since I’d played it and as I listened I was reminded why. This is the music of unbearable loss. In five songs it takes us through the whole gamut of the emotions of bereavement—blame, of self, of others; the search for reasons, for warnings, for explanations; the sudden irrepressible assault of memory; the conviction that somehow it’s all been a mistake and the dead are still alive; the grasping at straws of consolation—life must go on—we’ll meet again in a better place—they are at peace now. Here is a true anatomy of despair. At first it seemed to me that this music would merely inform my approach to the story. Then I began to toy with the idea of using quotations from the poems perhaps for chapter epigraphs. But as I began to flesh out my characters and feel my way towards the shape and movement of the narrative, I began to see ways in which the evocative force of the Mahler cycle could be used much more intrinsically. Nor did I have to drag it in by the scruff of the neck, so to speak. My outline already had the past and present linked not only by the bereaved parents but by the one girl who had survived an attack from the suspected perpetrator. She brought with her from the drowned past secrets she was torn between giving full voice to and hiding forever. By making her a singer who chooses for her first recording the Mahler cycle which she herself has translated into English, I could use the power of the music and also give it a cryptic function which only becomes clear as her secret is revealed. At first I thought I only needed to translate a couple of lines of the songs, but once I started on them I became so fascinated with the process that I did the lot. Then I began to think that a number of my readers could be completely unfamiliar with the cycle. Verbal description is a weak tool for conveying the sense of the music, but I could at least make sure they got the full force of the poems by giving the whole of my translation (or rather, my character’s translation) in the form of a CD booklet, which also gave occasion for putting the cycle in its context, and incidentally allowed me to have fun designing a cover which incorporated both a visual and a musical clue. So there it was. From being reminded of the music by the nature of my story, I had passed in various stages to putting the music at the very centre of the book. It’s a strange business, this writing! Often when I’m in the middle of creating a novel, some problem is resolved or some new direction suggested by odd coincidence and this happened here. The actual live performance of the songs in the book was to take place in a village hall, therefore the usual orchestral accompaniment was impossible. It seemed likely that Mahler had written a piano version, but when I checked the CD data bases, I couldn’t find any existing recordings in this form. Then just as I reached the significant point in my text, I opened my Gramophone to be confronted with review of a new disc by that fine American baritone, Thomas Hampson, on which he sang Kindertotenlieder with piano accompaniment. I felt as if somehow I’d put the idea into his head! It’s a splendid performance, but I must admit I still prefer Janet Baker’s voice soaring above those marvellously rich orchestral sounds. Music occurs elsewhere in my novels, usually incidentally, though it’s fairly central to the Joe Sixsmith stories. Joe is a baritone in the Boyling Corner Chapel Choir. A performance of Haydn’s Creation plays a large part in Born Guilty (Collins/ St. Martin’s, 1995) and the setting of Singing the Sadness (St. Martin’s, 1999) is a choir festival in that land of song, Wales. I, myself, much to my regret, play no instrument and my rendition of “Danny Boy” can clear a full pub in seconds. But music plays a huge part in my inner life and as that’s where all my books start also, it isn’t surprising that from time to time the one floats through into the other. Reginald Hill is a recipient of the Crime Writers Association Cartier Diamond Dagger for Lifetime Achievement. One of my inspirations for the Charlotte Justice series is the music of Charlotte and her family’s life and times, from the 1940s onward. From the titles of the mysteries to the use of music in key scenes and chapter titles, music for me in one of the unifying themes of the series. My habit of using song titles was not unique to the Charlotte Justice series. Two anthologies I co-edited with Felix Liddell used a Motown song (I Hear a Symphony, an illustrated anthology on black love) and a blues song, Merry Christmas, Baby, which was an illustrated collection of black writing about Christmas and Kwanzaa. But I originally thought I’d make a break when writing about mystery and use titles that evoke common sayings in the black community as a way of connecting the books to African American culture. So the title of my anthology on twentieth century black mysteries was a catchy double-entendre I made up, Spooks, Spies, and Private Eyes, and I had thought of something similar for the first Charlotte Justice mystery. But when faced with writing the book, which is set during the Los Angeles Uprising of 1992, I found my thinking about Marvin Gaye’s prophetic 1971 album, What’s Going On, and how it spoke to Charlotte’s (and my) generation about war, the environment, and urban unrest. Marvin Gaye’s album was the voice of protest for our generation as much as NWA’s Straight Outta Compton was a voice of protest for disaffected youth in the 1990s. Charlotte would have been a teenager in 1971, when Marvin’s album was released, and I imagined she was profoundly affected by a romantic pop icon making a major musical and political statement. So hearing What’s Going On during the riots of 1992—and the seminal cut “Inner City Blues”—reminds Charlotte (and hopefully readers) of Gaye’s social relevance, just like hearing other songs from the album on stations across the country today reminds us that he still speaks to the troubled times we’re enduring. Once I had the title of the book nailed down, using other songs became effortless. Among the joys for me was incorporating Gaye’s “Makes Me Wanna Holler” into the funeral of a gangbanger, “Down Home Blues” for a scene where Charlotte interviews a old woman who migrated from Los Angeles from the South, and the Marvelettes’ “The Hunter Gets Captured by the Game” in a heated romantic scene between Charlotte and Eubrey Scott. While not exclusively Motown, the songs used in Inner City Blues form what I like to think of as a soundtrack for the novel and fix it in its time and within the various strata of black culture through which Charlotte moves in the course of the novel. But then I had a dilemma—what to call the second novel? Would I continue to use Marvin Gaye titles, Motown titles, or something else? I actually thought at one point of Kool & the Gang’s bouncy 1973 hit, “Hollywood Swingers.” And while the title had some resonance for the plot I was developing, the tempo and era was all wrong for the story of the murder of a seventy-six-year-old pioneering black Hollywood film director. Then I hit on Stormy Weather, the song popularized by Lena Horne in the 1943 all-black movie of the same name. The song was perfect to evoke the era of the victim, the weather during the investigation, even the storms that Charlotte was enduring on the job and in her new relationship. The third book in the series, the newly-released Dirty Laundry (One World Ballantine), is taken from a cynical 1982 Don Henley song about the media’s appetite for sensationalism, of which there is plenty in this mystery about the death of a Korean campaign strategist working for a Latino news anchor turned mayoral candidate. 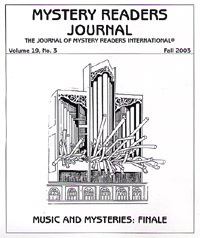 Because the book moves through Korean, Anglo, Latino, Black, and LAPD cultures, it was difficult to select music that was easily recognizable to readers, but the “dirty laundry” that each of them has to hide in the investigation of the crime became the unifying theme for me as I was writing the book. Through three novels, I’ve always come upon the title of the book somewhere in the writing process, but this time I think, for the first time, I know from the outset what the title of the fourth novel in the series will be, which I’m working on now. And while I won’t reveal the title now (after all, a girl is entitled to change her mind), I can say that I’m leaning toward Motown again. There’s something about that driving yet sophisticated Motown Sound that seems a fitting backdrop for a cop series featuring a woman I like to say is tough as nails but sophisticated enough to have her nails done. This reliance on song for the titles of the Charlotte Justice mysteries is both fun and enlightening for me and fans of the series, given the responses I get through my web site from readers and students of mysteries and black culture. It’s definitely taxed my musical memory, causing me to dust off my turntable, buy remastered CDs of mid-century music, and keep a running list of titles that might be pressed into service one day. So far, there’s only one title I don’t think I’ll be able to use—a blues song mentioned to me by my agent. But if any of you can think of a plot that goes with “Big-Legged Woman, Keep Your Red Dress Down,” let me know!